out through four different corpora. 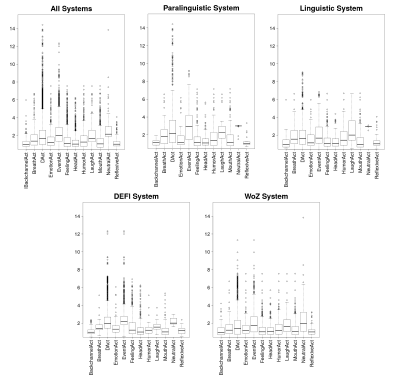 Four different systems designed to explore essential and complementary aspects of the JOKER system in terms of paralinguistic/linguistic inputs were used for the data collection. An annotation scheme dedicated to the labeling of verbal and non-verbal behavior have been designed. From our experiment, engagement in HRI should be multifaceted.